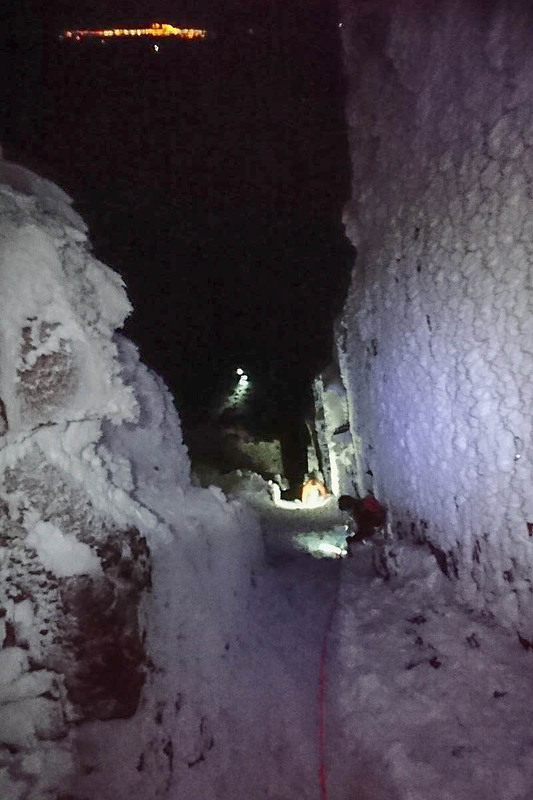 Two climbers were rescued after getting stuck while soloing a winter route on Cairn Gorm. Cairngorm Mountain Rescue Team was called out about 4pm on Saturday when the two men became cragfast on Jacob’s Ladder in Coire an t-Sneachda. The rescuers said the route is normally a grade I winter climb but because of thin conditions in the gully it is more like a grade III at present. The climbers were not using ropes. A Cairngorm MRT spokesperson said: “Twenty-four members of the team were called out. A couple of the guys were finishing up with the Cairngorm Ski Patrol, so they went over the summit on skis and located the pair, climbed down about 100ft and made sure they were safely attached to a top rope. The spokesperson said a long lower, back down the gully, was avoided by taking the climbers up to the top of the crag. It was, the spokesperson said, a ‘Lovely evening with calm weather and a great view of the twinkling lights of Aviemore. All rather festive really’.